THIS time last weekend we were looking down the barrel at a very threatening east coast low. 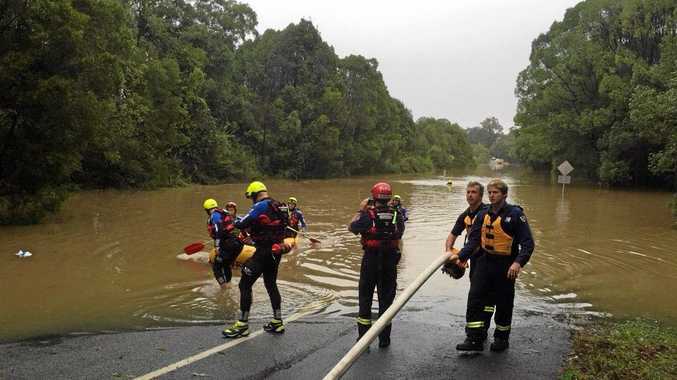 Everyone’s worst fears were realised when close to 400mm – that’s nearly a foot and a half in old money – fell on Coffs Harbour in 24 hours. It also coincided with some of the highest tides of the year. Just a few short years ago that would have meant potentially serious flash flooding for the CBD and other homes and properties along Coffs Creek. But thankfully, the flood detention basins we started building after the 2009 storm have proved to be worth every cent. There was some flood threats in low lying areas of the creek around Gundagai St and 53 people were voluntarily evacuated by the SES to be sure, but it was far less than expected given the rainfall intensity on Saturday night. That’s a really good indicator that the network of detention basins worked as planned. We have three major basins at Bennetts Rd, Bakers Rd, and Spagnolos Rd. There is also a smaller basin at Marcia St and this also seems to have been hugely beneficial to properties in that area that might have expected to see fairly major inundation with that amount of rain in the past. I’m very mindful there was a huge amount of damage to boats, buildings and other infrastructure in the Marina and I’ve already made clear that Council will provide whatever help are able to the NSW Government departments that manage the harbour. Over the past weeks there has been a lot of talk about the future of the Deep Sea Fishing Club and their request for an extension of their current lease to 2031. I was able to help move this forward through a mayoral minute motion I put up at a council meeting which my fellow councillors unanimously supported. The ball is now in the court of the NSW Minister for Primary Industries, Niall Blair, who has been sent the club’s business plan to back up their request for an extended lease. Most people agree that an extension of the lease would be the best outcome for the club in its circumstances and I hope that happens, but you may be wondering why council couldn’t simply do that. The bottom line is council does not have overall control of the land in question. We are managers of the Trust and we have to abide by the rules set out by the NSW Government. Council can recommend extending the lease without putting it out to the open market – which was the original sticking point – but we have to have that decision signed off by the NSW Minister for Primary Industries. It’s a terrible situation for the club, but council has been working as hard as we can to help them within the rules we’re governed by. I sincerely hope that we may see a decision in the club’s favour by the Minister as soon as possible. Need to go to Brisbane for work or pleasure? Don’t spend more than five hours on the highway. Book Fly Corporate and get a comfortable return flight for a fraction of the time. While all the talk at the moment may be of the upcoming Federal elections don’t forget that Coffs Harbour will go to the polls for the local government elections on September 10 this year. News A community conciliation meeting is planned to discuss a housing development proposal, rejected by council and before the Land and Environment Court. 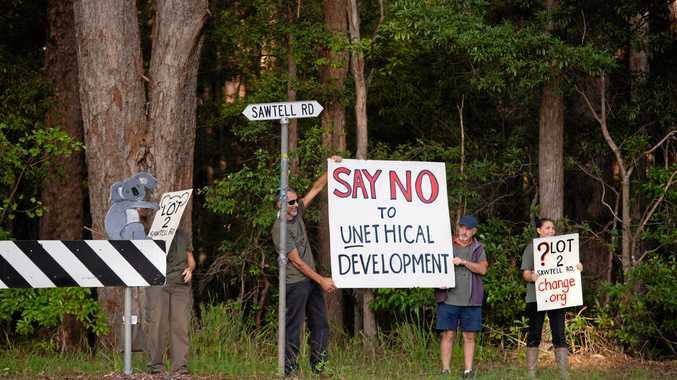 News Coffs, Bellingen councils to determine economic benefit of proposal. News RIDERS flew along the purpose built course over two-days. News Former bus driver thrown behind bars.